PORT ST. LUCIE, Fla. - Last season, the Mets traded away Ike Davis and gave the first baseman's job to Lucas Duda, and before this season begins, they're trying to make sure Duda stays there for a while. A source confirmed Saturday that they are in discussions with him on a long-term contract. 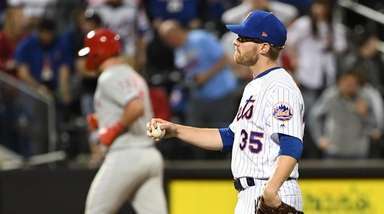 Duda, who turned 29 last month, avoided arbitration with the Mets by agreeing on a one-year, $4.2-million deal. 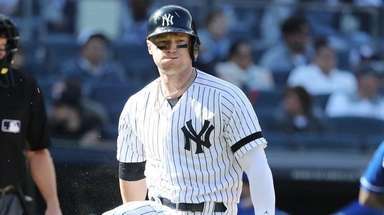 But he has two more arbitration years left and won't become a free agent until after the 2017 season, so negotiating a multiyear deal, as the New York Post first reported Saturday, is tricky at this stage. Duda had a breakthrough 2014 season, hitting 30 home runs and finishing third in the National League behind the Marlins' Giancarlo Stanton (37) and the Cubs' Anthony Rizzo (32). The Mets always have projected that kind of power from Duda, but it wasn't until they finally put him at first base to stay that he turned it on. General manager Sandy Alderson has committed to only three contracts beyond two years since becoming general manager in 2010: David Wright's eight-year, $138-million deal, Jon Niese's five-year, $25.5-million contract and Curtis Granderson's four-year, $60-million deal. With the payroll climbing to roughly $100 million for this season, the expectation is that any new deal for Duda would be backloaded beyond this year. Duda was sidelined earlier in spring training with a rib-cage strain, but he hit his second homer Saturday in the Mets' 10-2 win over the Nationals. Daniel Murphy (hamstring) finally got in a game, but it was on the minor-league side, where he will remain as the Mets evaluate his readiness for the start of the season. By keeping him out of Grapefruit League games, the Mets can backdate him on the disabled list, so they'll look to get him as many at-bats as possible in the minors. He had five Saturday but did not play the field, and manager Terry Collins did not sound optimistic about Murphy being ready by April 6. "The one thing we've got to realize is that this game is about legs, especially when you play the way Dan Murphy plays," Collins said. "We've got to be very careful this time of year. If his legs aren't underneath him and they aren't in good enough shape, we risk the chance of losing him for more than seven or 10 days. We could lose him for a whole month, and we can't afford that." Jacob deGrom allowed four hits and one run in seven innings Saturday to trim his Grapefruit League ERA to 2.45 in five starts. 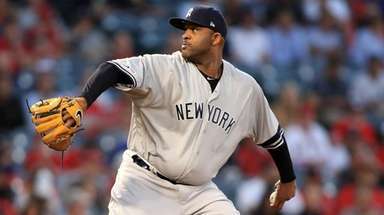 He's struck out 21 with four walks in 22 innings . . . David Wright hit his fourth homer, including two opposite-field shots over the rightfield wall.